Hello everyone, I am posting after a few days. Actually I am having computer issues, as my laptop has given up. I was using my daughter's one for last few months, but the school started yesterday, and they need to tale their devices to school!! Now I have an ultra sophisticated Alien-ware PC, which belongs to my son at home. It is windows based, and I am quite good using different OS, but the ambience is just not for me. He has 2 monitors and the mouse and keyboard, Oh dear, I don't want to go in detail of it. 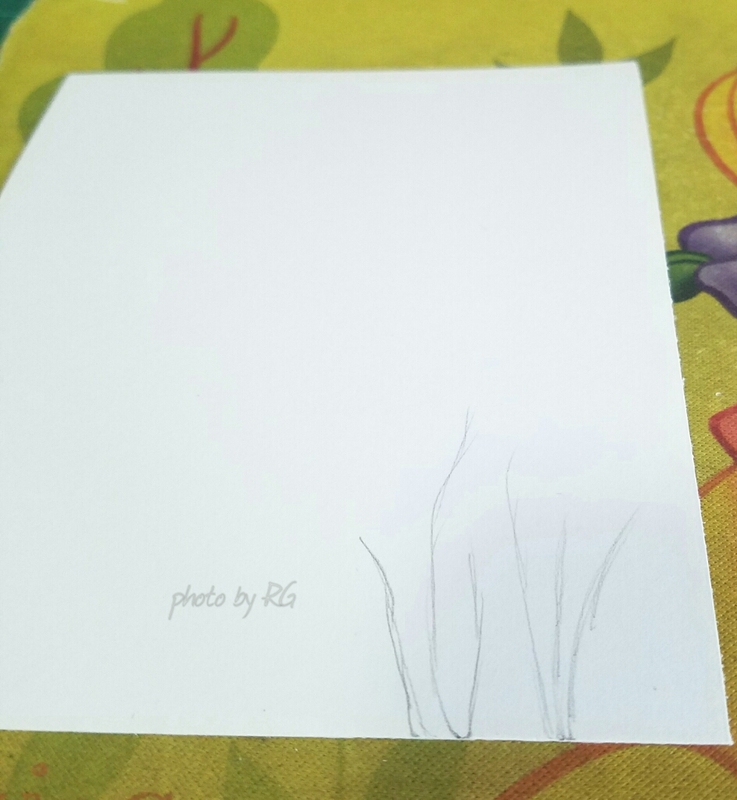 I had to watermark my card on my phone today!! I will post this card, and will have to think of an alternative to using this PC. I apologize for not visiting anyone's blog. I don't find it very convenient to comment using phone, please wait few more days!! Ok to my card. I just made this, it took me less than 10 minutes to make this card. I used all whites here. I wanted to add stitches, so after going though my stash, I couldn't find any suitable stamp for this, so I decided that it is better to draw something myself to add stitches. I did some freehand doodling, and added the stitches using green thread, and then used stickers flowers, and butterflies to complete the floral scene. A few gold jewels to finish off. The sentiment is from Steve fadie, and stamped it on the base, the front is simply adhered to the base, no foams used this time. I love the look of it, and hope find it interesting too. I really like the personal touch you give with adding stiches. The sentiment is incredible as well. Such a perfectly CAS card! Lovely. Thanks for sharing at Less is More! You always do such beautiful work, Rahmat! 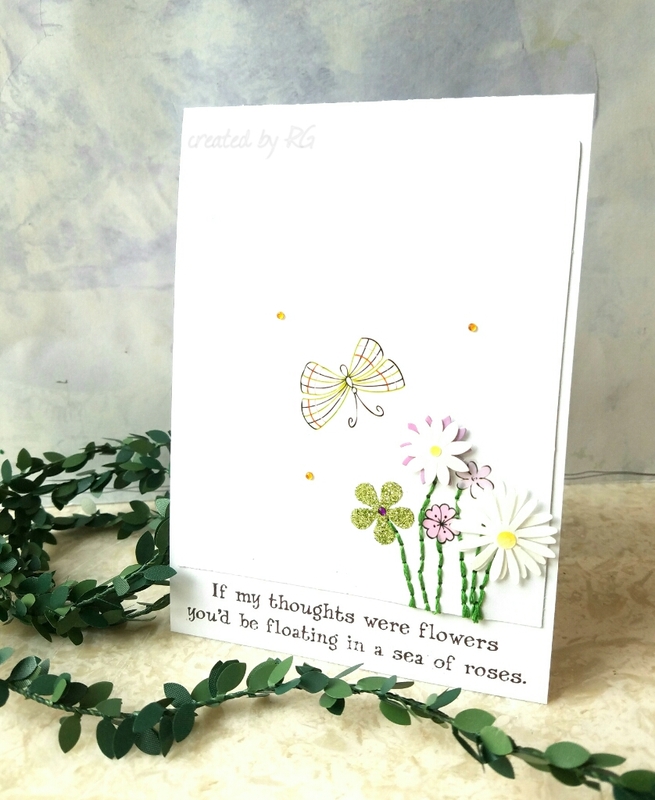 Love these delicate flowers and stitches! Ooohhhhh it is super pretty!! Really really LOVE it! Those stitches are just perfect!! If I were into stitching, I would definitely CASE this!! 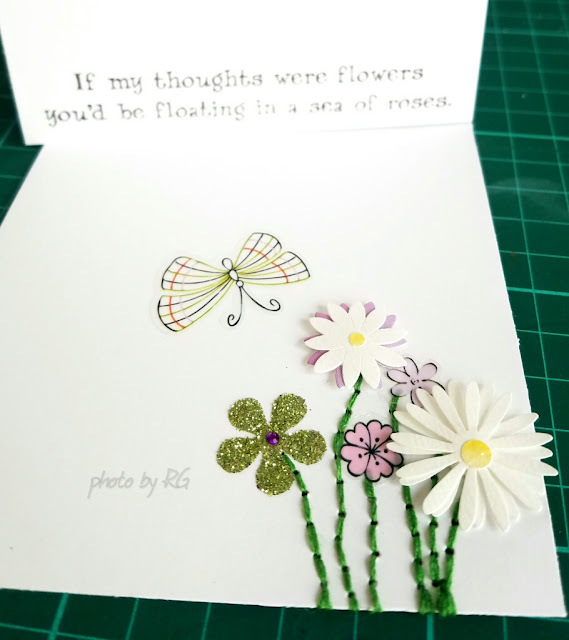 Really pretty and creative Rahmat! 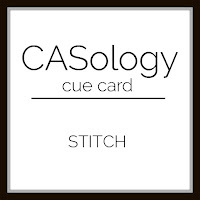 Thank you for sharing with us at CASology this week!